Planning a spring break or summer vacation to the Happiest Place on Earth? Disneyland is ever-changing with the seasons, and every spring and summer brings something new. This 2019 year has plenty of new attractions, shows, parades, and more that will make any Disneyland vacation special and memorable. From the return of the Disneyland Food & Wine Festival to the celebration of all things Minnie and Mickey during the Get Your Ears On Celebration to the big reveal of Star Wars: Galaxy’s Edge (FINALLY! ), find out what you need to know about what’s new at Disneyland in spring and summer 2019. And… if you are planning a spring or summer visit of your own, make sure you read to the end to find out how to save big on your vacations with Trips With Tykes partner Get Away Today. There are spring ticket specials, bounceback offers, and deals galore going on right now. 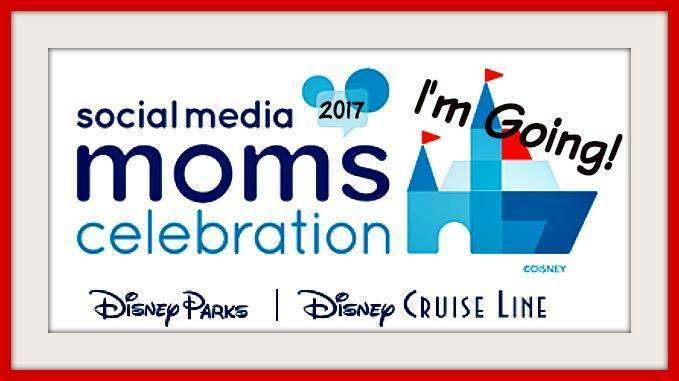 Plus, I’ll have a special deal available only through my Facebook Group, Disneyland with Kids, from March 13-16 only. Be sure to join the group if you aren’t a member already. And now on with what’s new at Disneyland this spring and summer…. Get Your Ears On – A Mickey and Minnie Celebration! Disneyland traditionally has a spring and summer themed celebration (last year’s was Pixar Fest), but the fun started even earlier this year with the Get Your Ears On Celebration. Launched in January 2019, this special event embraces and celebrates all things Mickey and Minnie on Mickey’s 90th anniversary year. There are special parades and shows, limited time food and treats, character meet and greets, and new merchandise. The versions of Mickey and Minnie used in much of the theming are the ones from the new cartoon shorts (the same that will be featured in Mickey and Minnie’s Runaway Railway opening in Walt Disney World later this year). The celebration’s mood is in keeping with the high energy whimsical nature of these characters and is sure to capture the attention of your kids. We don’t yet know the end date for this celebration yet. It’s possible it closes when Star Wars: Galaxy’s Edge opens or it could run all summer long as usual summer celebrations do (my money is on the latter). I’ll update this post when an end date is announced. This parade debuted at Disneyland in 2011, but had been on hiatus the last few years in favor of Paint the Night, the Main Street Electrical Parade, and the Pixar Play Parade. It’s back and with several new additions. The parade’s bright colors and upbeat theme are in perfect keeping with the Get Your Ears on Celebration. Disney fans of all stripes will find a float or character that appeals to them, as the parade features everything from multiple princesses to the Jungle Book to Mary Poppins. Mickey’s Soundsational Parade usually runs twice per day at 3:30 and 6:00 pm, but always check the Disneyland app or showtimes guide to be sure on the date of your visit. Disneyland has also launched a brand new evening show in Disneyland Park as part of the Get Your Ears On Celebration. The show uses projection technology on the castle, along the storefronts of Main Street USA, on its a small world, and on the Rivers of America to surround guests in multiple locations with the full experience. Fireworks run as part of the show on Friday, Saturday, and Sunday nights, weather permitting. The soundtrack is highly danceable and the show includes a number of fan cartoon favorites, from Coco to Haunted Mansion to lots of Mickey and Minnie. I got to see the show for the first time last week and I must say that it is super-high energy and just pure fun. Did I dance in the street and not care who was looking at me? Yes! You will too! What’s a celebration without lots of fun food and merchandise? There is a special menu at multiple restaurants throughout the park during the Get Your Ears on Celebration. The merchandise is extra cute as well, with the stylized Mickey and Minnie characters featured prominently along with bright primary . colors. The Food & Wine Festival at Epcot in Walt Disney World has been a favorite for more than two decades, but its time in California has been fairly short. It returned in 2016 after many years on hiatus, expanded substantially in 2017 and 2018, just keeps growing for even more culinary adventures in 2019! The event runs this year from March 1, 2019 until April 23, 2019, making it perfect for spring breakers. Hosted in Disney California Adventure, the event this year features celebrity chef demonstrations, 14 marketplaces for food and drinks, and lots of surprises. For the kids, they can enjoy the foodie fun by taking part in kid cooking classes with Chef Goofy. I attended the opening weekend of Food and Wine in both 2018 and 2019 – be sure to check out my recently updated guide to Disneyland’s Food & Wine Festival for lots of insider tips and photos of the amazing food. World of Color has been much missed, but it finally made it’s glorious return to Disney California Adventure on February 22, 2019. If you’ve never seen it before, the show includes video and light projections displayed on spurting fountains of water and mist, all set to a familiar Disney soundtrack. It’s really pretty breathtaking, even if you aren’t much of a fan of evening shows. To secure the best viewing areas for World of Color, you’ll probably want to book a dining package. They are expensive, but a lot of guests really care about having a great view for this show. I think they are well worth it if you fall within that camp. There are also plenty of decent reserve viewing areas if you simply grab a FASTPASS, distributed near Ariel’s Undersea Adventure every morning. These FASTPASSes are not tied to the other attraction FASTPASSes in the park, so they won’t affect your eligibility for reserving rides. To get the best spots in the World of Color reserve viewing areas, you’ll want to arrive up to an hour in advance of the show. But there are a lot of spaces with good vantage points. On my last trip, I arrived to my viewing area only minutes before the show started and still was able to see all of it, admittedly from a bit of a side perspective. Pixar Pier has been opening in stages, starting last summer with the opening of the Incredicoaster and the Pixar-Pal-A-Round. Some time in April this year (exact date TBD), another ride is coming to the waterfront. Jessie’s Critter Carousel — a retheming of Triton’s Carousel — will open with new animals to ride on. This will be a fantastic ride addition to the area for toddlers and preschoolers, who have not has as much to do in Disney California Adventure since the closing of A Bug’s Land in September 2018. The photo opp of this area is undoubtedly going to be the giant Jessie out front, a worthy partner to the giant Woody that stands outside of the entrance to Toy Story Land in Walt Disney World’s Hollywood Studios. Of course, Pixar Pier is not yet done. Not yet announced is when the Inside Out Emotional Whirlwind (a retheming of Flik’s Flyers from A Bug’s Land) will be opening, adding another kid-friendly attraction to round out the land. Lest you think I’ve buried the lede, it’s time to talk about the biggest Disney news of the decade that is finally happening this summer – the opening of Star Wars: Galaxy’s Edge. Earlier today, Disney FINALLY announced opening day: May 31, 2019! This major expansion will bring the universe of Star Wars to life on the planet of Batuu in a settlement called Black Spire Outpost. This May 31 day is surprisingly quite a bit earlier than a lot of folks expected. Disney announced, however, that only one of the two attractions will be ready on opening day. Millennium Falcon: Smuggler’s Run will open with the land on this date, but guests wishing to ride Star Wars: Rise of the Resistance will have to wait a bit. News about the unique food and merchandise offerings have just been released as well. For snack items, expect everything from Blue Milk to unique popcorn flavors. Meals will be decidedly not the usual theme park fare, with plenty of veggies and grilled meats in a way that is slightly reminiscent of Satu’li Canteen in Pandora: The World of Avatar. The point is to transport guests to the planet of Batuu with a menu that would actually be served there. The merchandise is going to be next level awesomeness. With build-your-own droid and select-your-own light saber choices, even casual Star Wars fans had better start saving now! How will crowds be? Only time will tell. The reservation times will undoubtedly cut down on some of the overcrowding and hopefully keep the line for Millennium Falcon: Smuggler’s Run to a more reasonable length for now. Tropical Hideaway. In case you missed it in 2018 (it opened just a week before Christmas so very possible! ), Tropical Hideaway is Disneyland park’s hottest new quick service restaurant. Located in Adventureland near Jungle Cruise, the restaurant serves a variety of Dole Whip flavors and bao buns. Whitewater Snacks. This quick service restaurant in Disney’s Grand Californian Hotel & Spa reopened in February. The new menu is getting rave reviews, definitely making it more of a destination rather than only a place to grab a bite for breakfast before DCA Extra Magic Hours. Tangaroa Terrace. Not to be outdone, the Disneyland Hotel’s quick service restaurant got a serious overhaul as well. The seating area is larger and more open, and there’s even a window just for Dole Whips (with rum, if you prefer!). Ears, ears, ears. The headband Minnie ear craze may have started with rose gold and millennial pink, but it has officially reached a fever pitch. I’ve never seen more ear fashion choices than I did on my last visit. There’s purple potion ears, “Rock the Dots” ears, ears themed around the movie Up! (complete with balloons), and even Food & Wine Festival ears with a golden knife and fork on them. At $27.99, they are a more affordable souvenir for sure. The challenge is, however, stopping at just one pair. Downtown Disney. With all the news in the parks, some of the changes at Downtown Disney are undoubtedly being overshadowed and overlooked. Beer lovers should definitely check out craft brewery Ballast Point, which opened in mid-January. Naples Ristorante E Bar Italian restaurant and the adjacent Napolini Pizzeria recently reopened in January as well. Look for Black Tap Craft Burgers & Beer to open next. Spring & Summer Disneyland Vacation Deals! With all that is new, there really is no bad time to go this spring and summer to Disneyland. But I want to make sure you are getting the best deal whenever you are going! There are some crazy steals right now for Disneyland vacations, and you’ll save even more booking them through my trusted partner, Get Away Today. Get Away Today offers tons of extra little perks to clients and has in-depth Disneyland travel experience so you won’t be led astray by a travel agent who doesn’t really know the resort. For visitors planning a trip from January 7, 2019 – May 23, 2019 (with blockout dates on Easter week, April 14-22), tickets of 3 days or longer are a total steal. While Disney’s rack rate is $210/adult on a three day one park per day ticket, Get Away Today has an even deeper discount at just $205. Park hopper options as well as 4 and 5 day tickets are available as well. Just be sure to purchase by May 18, 2019 when the deal expires. Use promo code TYKES10 for an extra $10 off all vacation package stays of 2 nights or more. Want to visit Disneyland once this spring and once again once Star Wars: Galaxy’s Edge opens this summer? Then you need to take advantage of this unique Get Away Today bounce back offer. How does it work? Book one vacation before March 11, 2019 for a visit this spring before May 23, 2019 using the code BOUNCEBACK. You’ll receive a certificate for $50 off a second visit. Then book a second trip using that certificate no later than May 23, 2019 for travel any time from May 24, 2019 through the end of the year. For an additional savings on this second trip, watch for a special $20 off discount code that be stacked on top of the $50 discount in my Disneyland with Kids Facebook Group that will be available from March 13-16 only. After March 16, use the code TYKES10 for an additional $10 off. Looking for comprehensive travel advice to plan your Disneyland vacation with kids? I co-authored a book to help you do just that! My Disneyland with Kids e-book co-authors are three other moms experienced in taking kids of a wide variety of all ages to the Happiest Place on Earth. We tackle character meals, the best hotels, flying and road tripping to Disneyland, and much more. Buy it on our site as a PDF or on Amazon in paperback.